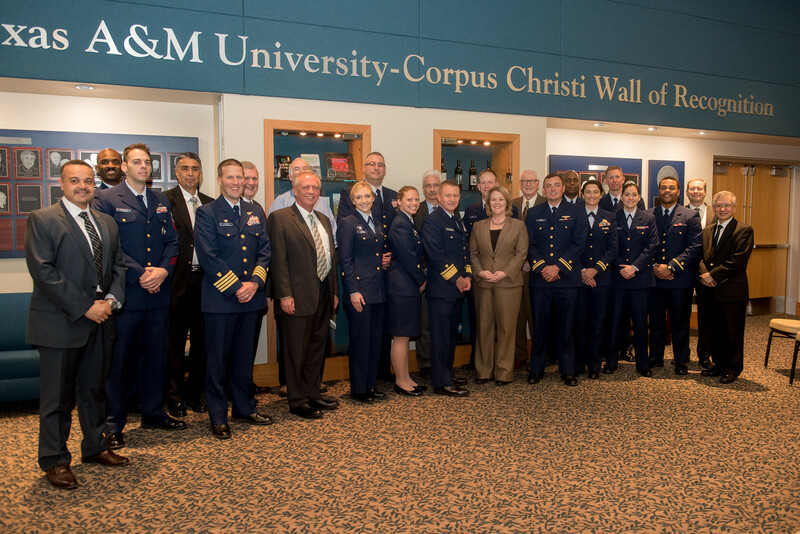 CORPUS CHRISTI, Texas – Supporting student success and graduating the leaders of tomorrow are just two of the primary goals of Texas A&M University-Corpus Christi and now, thanks to the new partnership with the United States Coast Guard, supporting students while they pursue their degree in addition to serving their country will become easier. 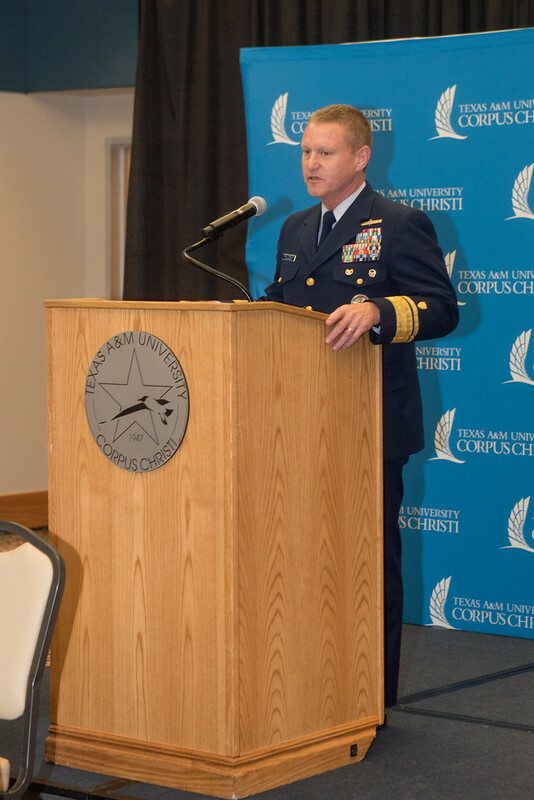 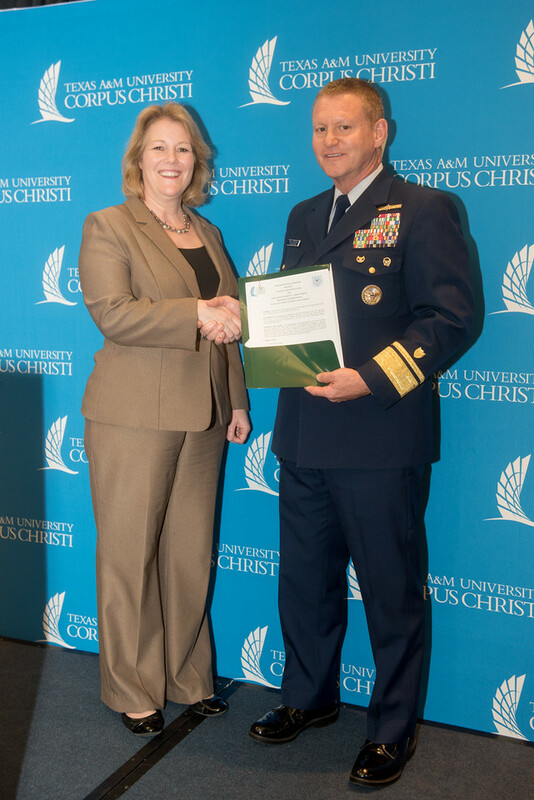 Dr. Kelly M. Quintanilla, president and CEO of Texas A&M-Corpus Christi, met with Rear Admiral Paul F. Thomas, Coast Guard Eighth District Commander, on Feb. 20 to officially sign a new Memorandum of Understanding outlining a new scholarship and loan forgiveness program as well as future research collaborations. 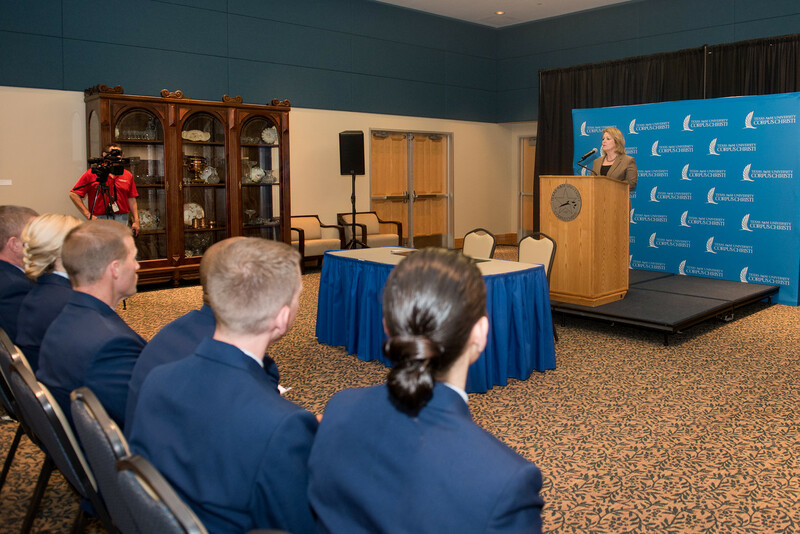 Two Islanders who are already benefiting from the new agreement are Officers in Training (OT) Amy Herring, a College Student Pre-Commissioning Initiative (CSPI) Student and a senior majoring in business management and Alaina Howell, a CSPI Student and a junior majoring in criminal justice. 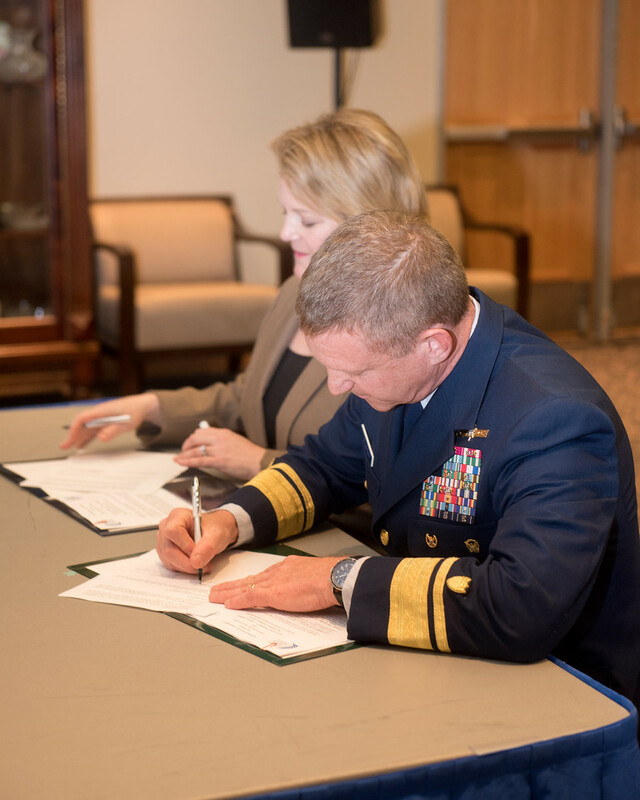 Both say it has been a blessing to get paid to pursue their degrees. 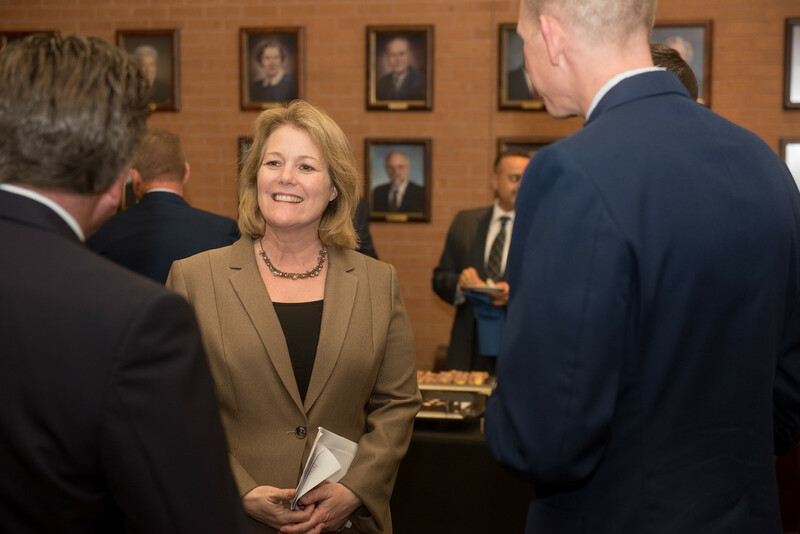 OT Herring also encourages other Islander to apply for CSPI and says she is glad she chose to be a part of the program. 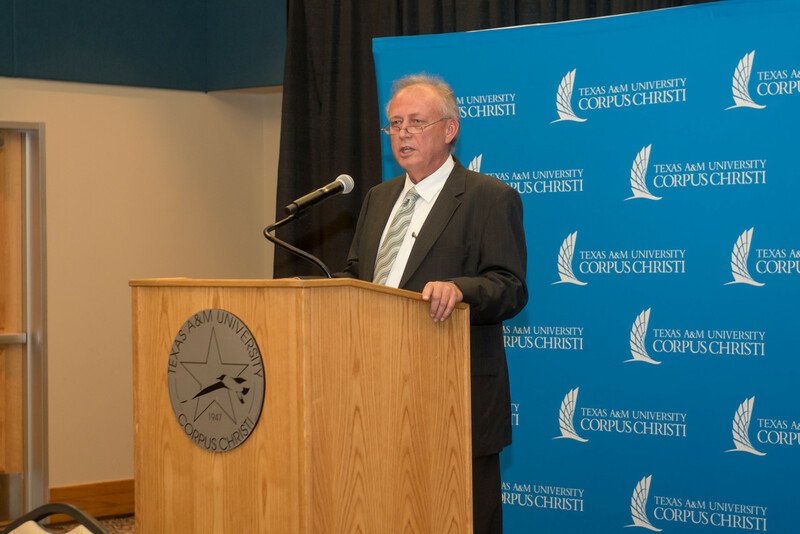 With 95 percent of Islander students relying on some form of financial aid, the new scholarship and loan forgiveness program is a welcomed addition to Texas A&M-Corpus Christi. 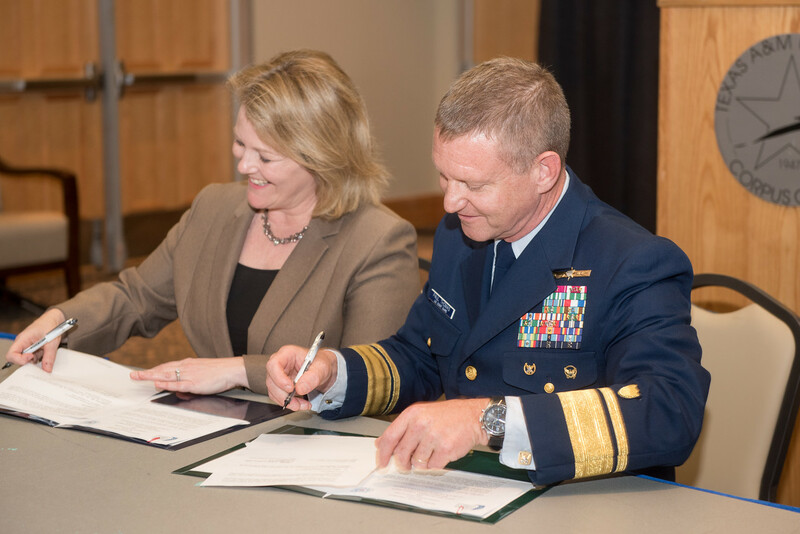 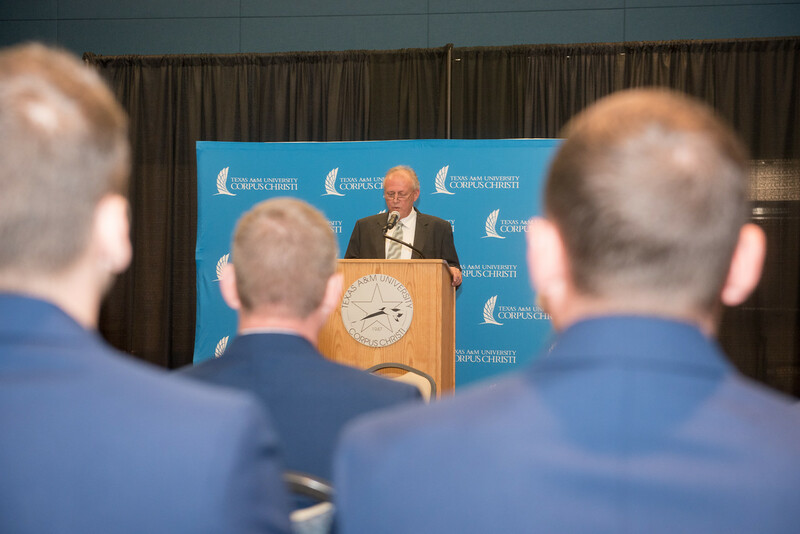 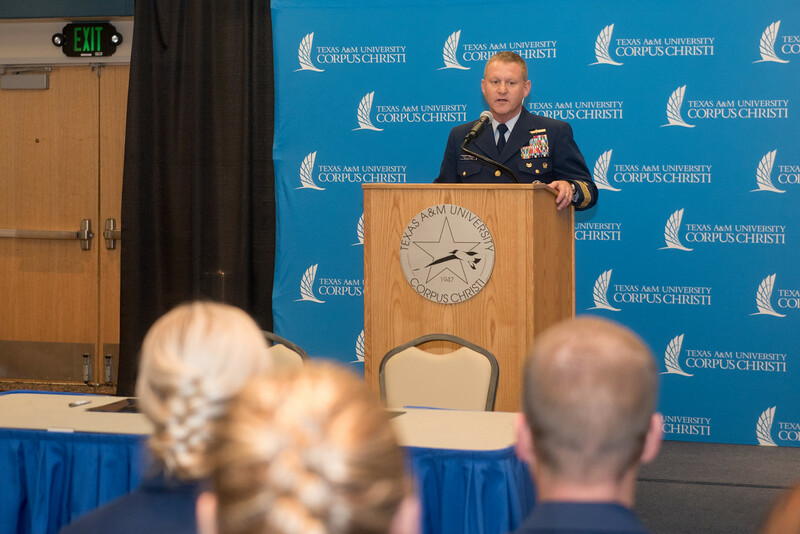 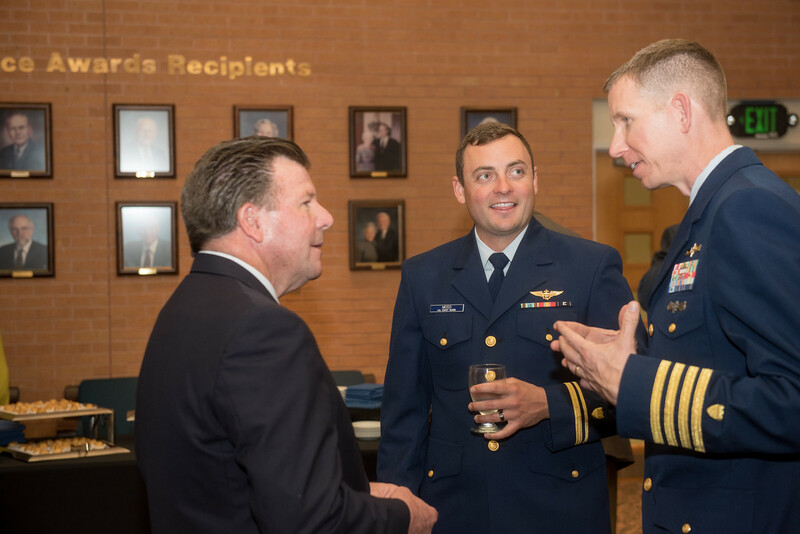 Thanks to College of Science and Engineering and USCG leadership, part of the new agreement will be to help promote CSPI, a scholarship program that is available to candidates enlisted in the Coast Guard as a non-petty officer. 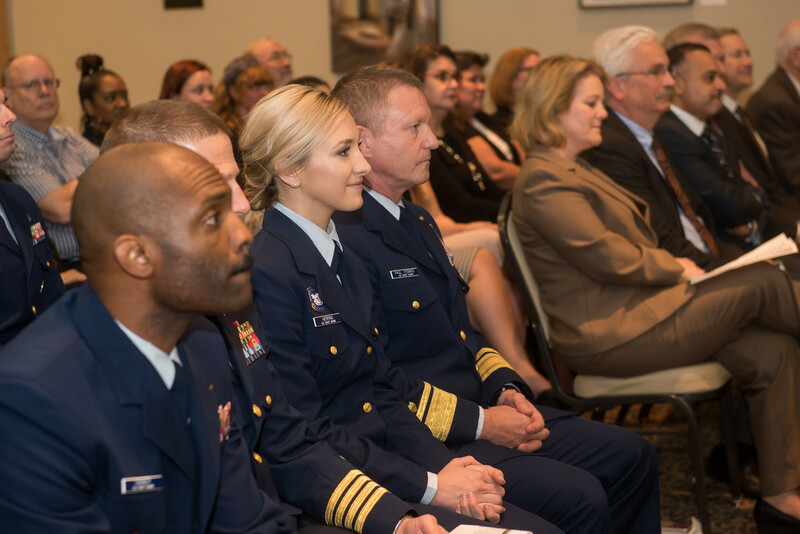 In addition to receiving two academic years’ worth of tuition, including financial aid covering books and essential supplies, CSPI students also receive housing allowances, entitlements and all the benefits of being on active duty in the Coast Guard. 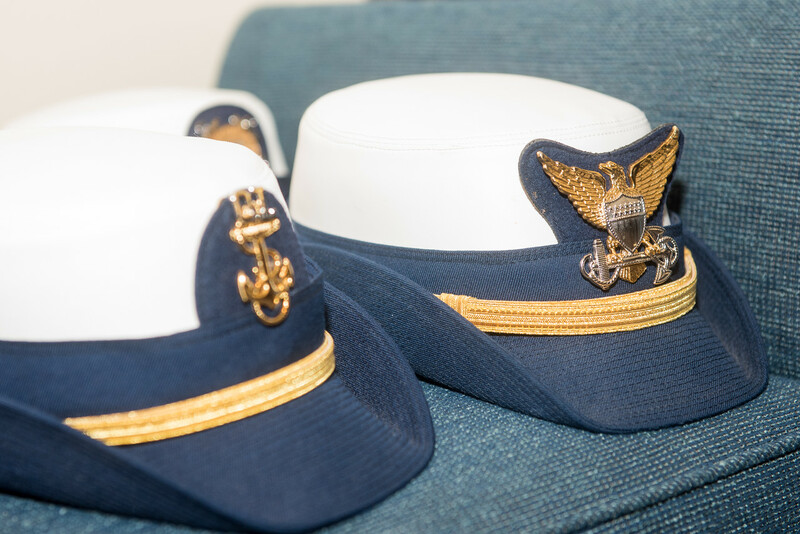 Seniors or recently graduated Islanders who enlist in the Coast Guard could also have up to $60,000 in student loan debt forgiven through the CSPI Student Loan Repayment Program. 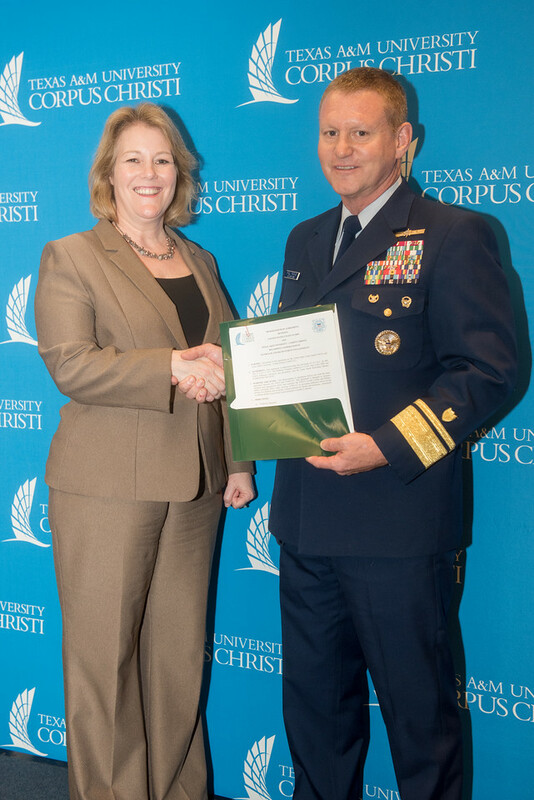 As part of the agreement, Island University faculty will also have increased opportunities to work with the Coast Guard on projects that could be applied to larger governmental issues such as cybersecurity, marine biology, environmental science and aviation science and technology.